Think Bankruptcy is Free? Think Again! Highly recommend 4Pillars. Zach is such a great help with both settling and credit re-building. Thank you! me. Even with my debt settled, 4 Pillars continues to help me rebuild. Their support has been fantastic! Great guy, great work, great system. Bankruptcy! Yeah, I know what that is…you get rid of all your debts, you walk away, your creditors get zilch, and you’ll never get a credit card again as long as you live! Your brother in law has spoken! Case closed. Well, that is unless you’d actually like to learn about what really happens in a Bankruptcy? There are many facets to a Bankruptcy and the Bankruptcy process. For now, I’m going to discuss what is possibly the most commonly held assumption about Bankruptcy – that it’s Free! Bankruptcy is NOT Free. Everyone is worth something in a bankruptcy. Sometimes, a person’s value in a Bankruptcy is miniscule. Other times, the value is enormous. A personal Bankruptcy is a legal process available to individuals who are insolvent – they are unable to pay their bills as they come due, cannot obtain loans to pay off their debts, and do not possess sufficient income or assets to offset the amounts they owe. They’re legally broke. A person who goes Bankrupt is essentially signalling to his/her creditors that a fresh start is required, and they’re prepared to disclose all income, assets, liabilities, etc. in order to get out of debt. This comes at a cost. In a Bankruptcy, income and assets determine what is paid to creditors. Even though the bankrupt individual is legally broke, creditors are still entitled to certain amounts of money. Income and Assets help determine how much is taken. Under the rules of Bankruptcy, your income is compared to a standard. This standard is determined by the size of your household. Do you live alone? Perhaps you’re married and there are two people in your home? Perhaps you’re married with children…3, 4, or more people in the home. If your income exceeds the standard then you are required to pay a certain amount of the excess to a Trustee in Bankruptcy. The trustee then takes a portion of this money for himself (the Trustee’s Tariff) and the remainder is distributed to creditors. The more you make, the more the trustee is entitled to take. The more the trustee receives and the more your creditors receive. So, you work overtime and make more money! The trustee can take a portion of that. You receive a bonus at work! The trustee can take a portion of that. You receive a tax refund! The trustee takes all of that. You inherit money! The trustee takes all of it or at least as much as he can until the debt is paid. As you’ve no doubt realized at this point, going the extra mile to earn more or seeking cash win-falls is not advantageous in a bankruptcy. Why would you work overtime just to pay more money? In a Bankruptcy, the bankrupt individual’s assets vest with the trustee. That’s a fancy way of saying the trustee is entitled to seize your assets and distribute the proceeds to creditors. An individual who goes bankrupt will either have to turn over assets, or ‘settle’ on the assets by providing an acceptable amount of cash to creditors. Let’s stick with our example above, the single guy who makes $60,000/year and has to pay $815/month. If this guy has $5,000 in mutual funds and made $1200 worth of contributions to his RRSP over the last year, he now has to fork over $6,200. This individual will pay $23,315 in a Bankruptcy. Now, the good news is that if this guy owed $75,000, he now only owes $23,315. This is obviously much lower than $75,000. However, $23,315 is a far cry from “Free”. Moreover, the monthly payments of $815 are still very high as they represent approximately 22% of his income. It’s no wonder that many people who enter into a Bankruptcy find themselves remaining in Bankruptcy several months after their 21 month term has expired. Sometimes, a Bankruptcy is the best option. 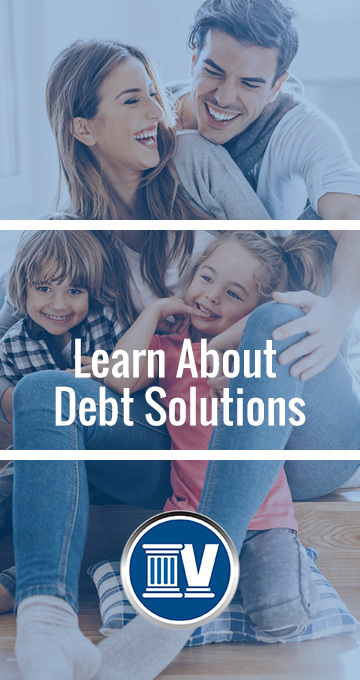 Every year, many individuals will find themselves in a situation where their debt is so immense, there is no other option but to take the Bankruptcy route. However, there are many situations where a carefully structured Consumer Proposal done with the debtors interests as the priority is a more reasonable, palatable, and feasible option. In either case, 4 Pillars can help clients determine which option works best for them, and we can work with clients to ensure they pay only what’s required and avoid pitfalls that would result in them having to pay more. Oh…and you can also get a credit after going Bankrupt…it just takes some time. 4 Pillars can help with that as well. Are You the Chicago Cubs? 108 years! That’s how many years passed between World Series victories for the Chicago Cubs. It’s an astonishing number when you consider that someone born in 1916 will have lived 100 years and never seen the Cubs win a world series…until November 3rd of this year. Unreal! What on earth does this have to do with debt? Do you have a credit card statement handy? If not, please retrieve one…I’ll wait, promise. Got it? Ok, is there a balance on the card? Great! Now, every statement is a little bit different, but you want to find the spot that explains to you how long it’ll take you to pay off your credit card if you make only minimum payments and never use the card again. Did you find it? What was the number? I’m going to go out on a limb here and suggest that you’re not going to live another 213 years. I know, you exercise every day and you eat nothing but kale sandwiches topped with organic wheat germ, but I’m just saying…I don’t think you have another couple of centuries left in you. Think about it…the Cubs could win another 2 World Series in that span of time! You know what’s going on here, right? This is the glory of revolving, high interest payments. Banks make money off of credit cards in many ways. They make money from transactions, they make money from annual/monthly fees (if applicable), and they make a lot of money through interest on balances people carry month to month. Ok, I’ll grant them that. They’re able to pay enough to keep the creditors off their back…but that’s all they’re doing. At this rate, the Cubs will win another World Series before the tiniest dent is placed in the principal of the debt. These people are effectively paying someone to NOT call them. This is money out the window. Instead of saying “I’m able to pay the bill”, people in this situation need to understand that they’re really just paying ransom. They’re paying just enough that the creditors will leave them alone and they can continue to pay for another couple of centuries. I’m as thrilled as any baseball fan to see the Cubs win a World Series for the first time in 108 years. Hopefully, for the sake of their fans, it won’t be another 108 years until the Cubs win again. In the case of debt, trying to match the Cubs in terms of futility is not an effective debt management strategy. A carefully structured Consumer Proposal by someone solely looking out for your interest can help significantly lower the debt, remove the interest, and allow you to make manageable payments that will only last for five years maximum, not 213 years. If you’re currently competing with the Cubs for a new standard in futility, please contact 4 Pillars. We can’t help you win a World Series (well, I can’t…maybe one of the other offices can), but we can get you out of debt and it won’t take 108 years. While there are a few folks who take the time to complete their tax returns all by themselves, most people opt to use an accountant. I certainly don’t blame them. Tax preparation is often more art than science, and having an amateur or passerby complete your taxes will at best produce lousy art – at worst, the result will be a complete disaster. An astute accountant will actively seek out ways to minimize his client’s tax burden. This requires a shrewd understanding of the tax code and how it relates to the client’s unique situation. The accountant can’t lie, cheat, or steal, mind you. The creativity inherent in tax preparation comes from being able to work within the boundaries set out by the tax code, all the while looking for advantages and opportunities to reduce taxes owed. By acting as intermediaries between the client and CRA, accountants help their clients achieve optimal results. I like the tax preparation scenario because I believe Debt Consultants have to take a similar approach to reducing debt. I’m often asked whether there is an advantage to working with a Debt Consultant. It’s easy to assume that a Debt Consultant is simply shuffling a few papers and sending clients off to a Licensed Insolvency Trustee (LIT) to have a Consumer Proposal or Bankruptcy filed. The role of a true intermediary is not even close to that! Imagine for a moment if CRA offered to complete your taxes for free. Would you accept their generous offer? If you haven’t completely recoiled in horror at this point, then it’s possible you’re frozen with fear. I don’t think I’ve ever met anyone who answered that last question in the affirmative, and the reason should be obvious. Simply put, CRA does not Act, Advise, or Advocate on your behalf. If CRA completed your taxes the aforementioned creative side of tax preparation would disappear. CRA would not look for applicable write offs, deductions, or deferrals. At best, CRA would look to minimize the amount of work required to complete your tax return, and a garden variety return would be the result. At worst, CRA would look to have you pay more tax. This isn’t the result of malice or hostility towards the client. Who has time for that? CRA simply has no incentive or obligation to help someone find ways to reduce their tax burden. With Debt Restructuring, having an intermediary work on your behalf to structure a consumer proposal and carefully select the LIT can work in the same way as your accountant working as an intermediary between you and CRA. LIT’s are professionals who provide a very necessary and important service and are integral in the debt restructuring process. They’re the reason the Bankruptcy and Insolvency Act (BIA) is able to function properly. That being said, LIT’s do not exist to Act, Advise, or Advocate on behalf of the debtor and have a conflict if interest if they do so, the introduction of an intermediary helps remove this conflict by working solely for the debtor. Debt Consultants, by acting as intermediaries, work within the boundaries of the BIA to find advantages for their clients. There are all kinds of ways to help clients save money – too many to mention here actually. However, a consultant will look at a client’s income, assets, living arrangements, budget, etc. in order to find ways to provide clients with the best arrangement possible. Like Accountants, Debt Consultants are incentivized to achieve optimal results for their clients. By working with an intermediary clients receive advice and guidance that is presented with their best interests in mind. We believe such advice is invaluable and unavailable elsewhere in the market. When it comes to restructuring debt, intermediaries have a unique position as they are able to act solely in the interests of the debtor and can provide ongoing financial rehabilitation programs to help rebuild credit and make sure a debt plan brings long term financial goals closer vs push them further away.